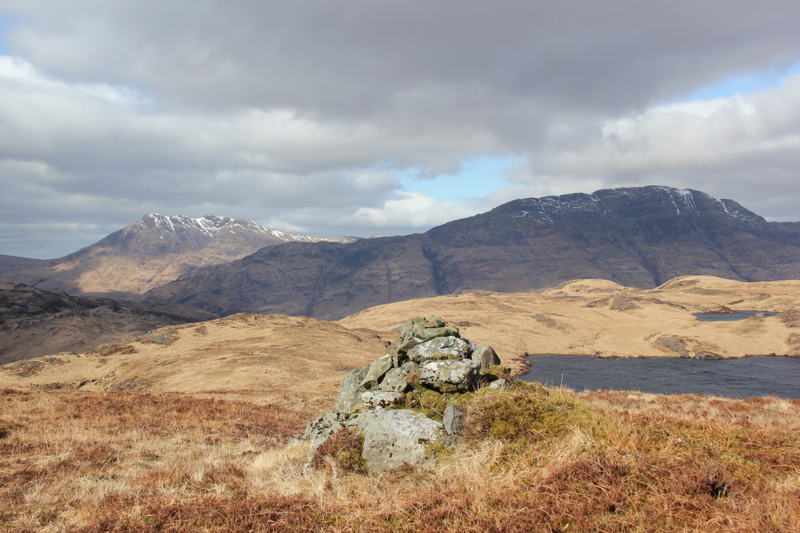 It was my intention this weekend to ascend Meith Bheinn and An Stac, my remaining two Grahams. 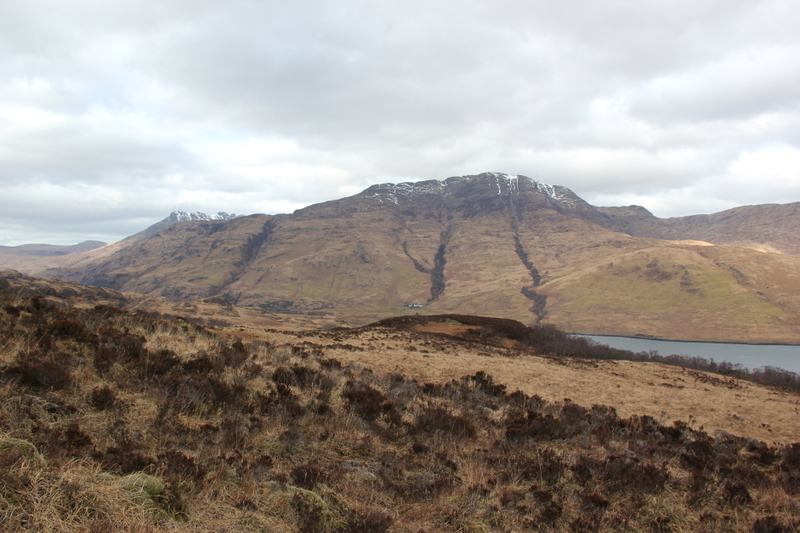 However, the weather was not ideal for tackling such remote hills and the Loch Morar boat, which would have made an ascent considerably easier, is currently being refitted. 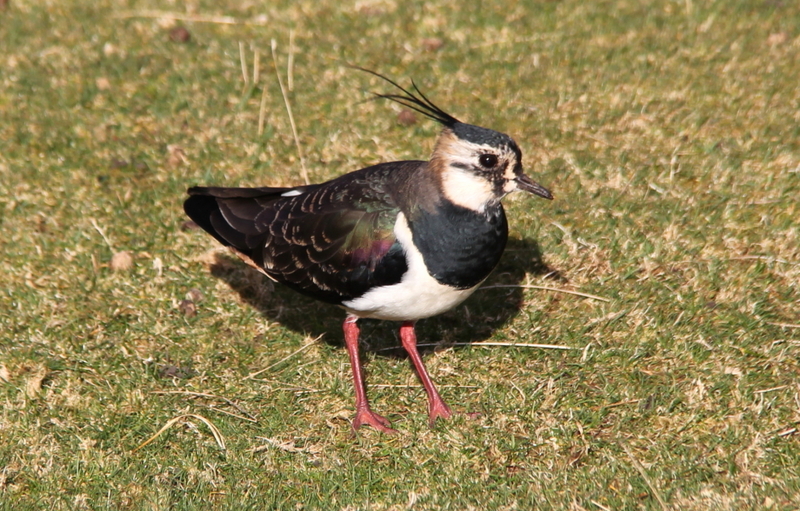 My Plan B therefore was to go to the Outer Hebrides. On Thursday afternoon, I travelled to Ullapool to find on arrival that the Calmac status had changed to cancelled due to strong winds. I therefore re-booked to sail the following morning spending the night in Ullapool. The following morning, the Calmac status again had changed to cancelled. I therefore needed a Plan C! 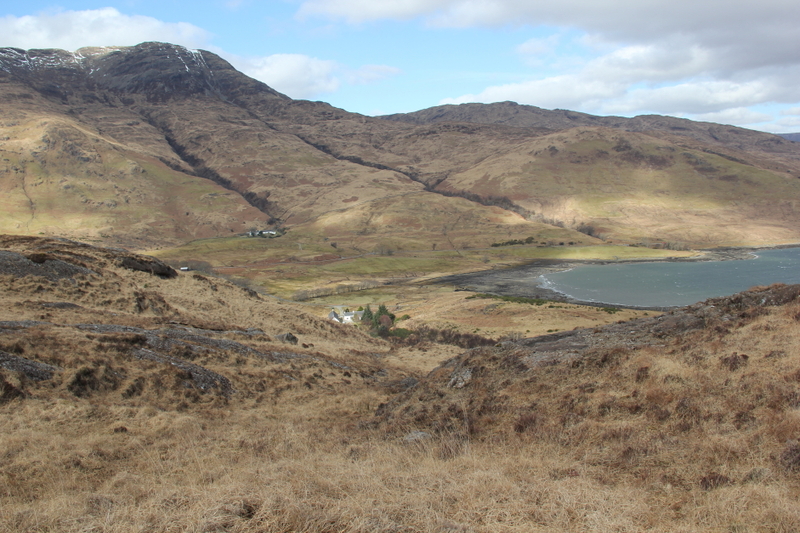 As I was still keen to visit a Scottish island, I decided to drive from Ullapool to Lochaline to catch the ferry across to the Isle of Mull. The Lochaline / Fishnish ferry tends to run even when most other sailings are cancelled. 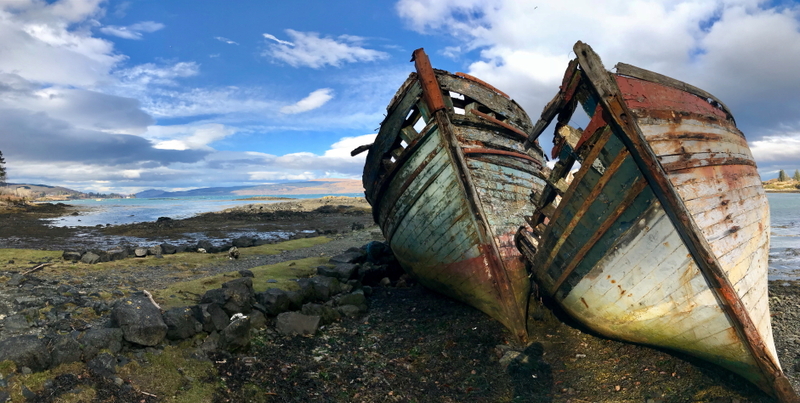 On arrival in Mull, I drove from Fishnish to Tobermory briefly stopping at Salen to take a photo of the wrecked boats. After grabbing some early tea from the fish and chip van in Tobermory, I drove round the north coast to visit Calgary Bay. 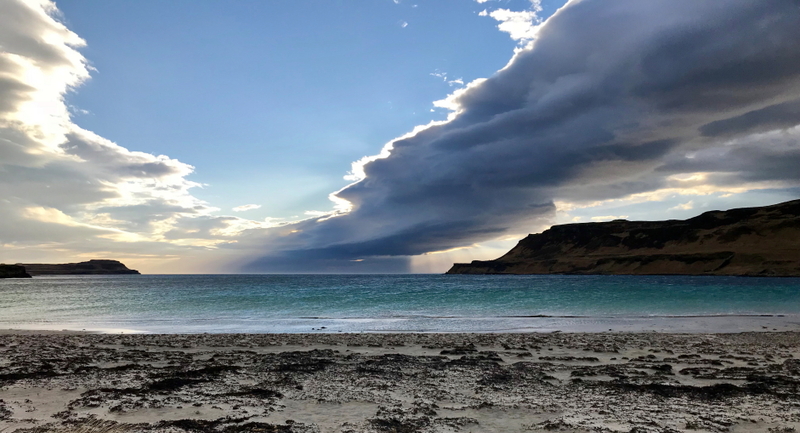 After visiting Calgary Bay, I continued round the coast to eventually park up for the evening not too far from the usual starting point for an ascent Ben More. The roads round Mull's coast are currently appalling - countless deep potholes and on some stretches of road, no road surface at all. 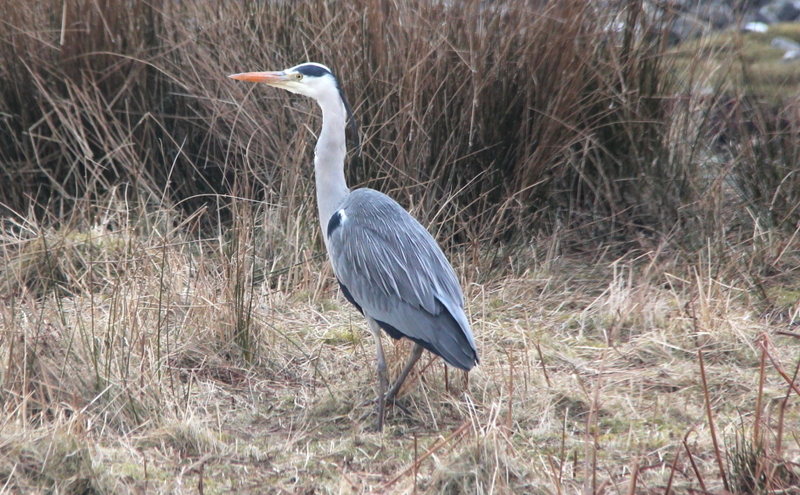 This morning, I opted to drive to the south of Mull as the road to Lochbuie is normally great for wildlife. While there I also hoped to ascend one or two of the Marilyns in the area. 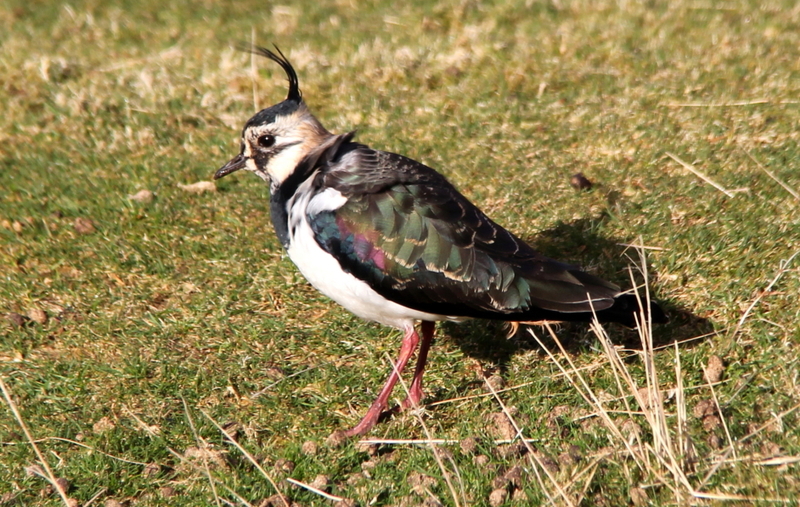 On driving along the Lochbuie road, I stopped to take photos of Lapwing and a Grey Heron. I saw numerous birds while driving along the road but alas no Eagles (Sea or Golden). Unfortunately, I also failed to spot any Otter. 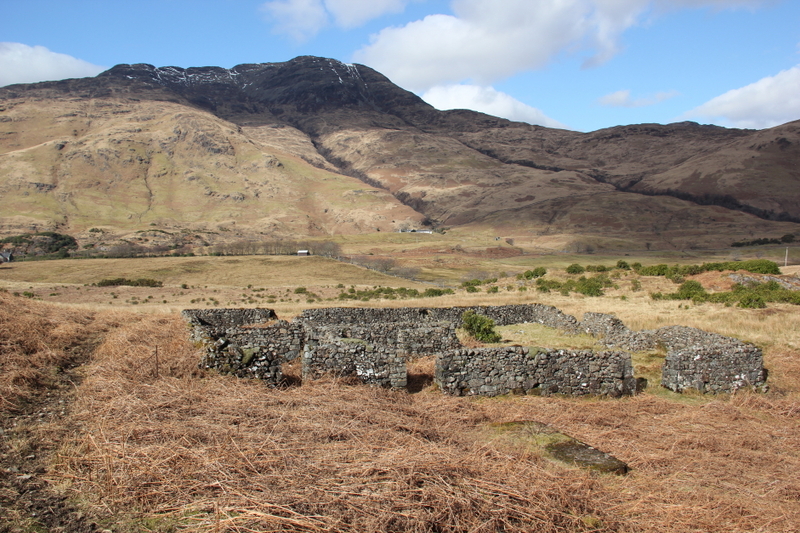 I eventually parked-up, got suited and booted and commenced a walk towards Maol Ban. 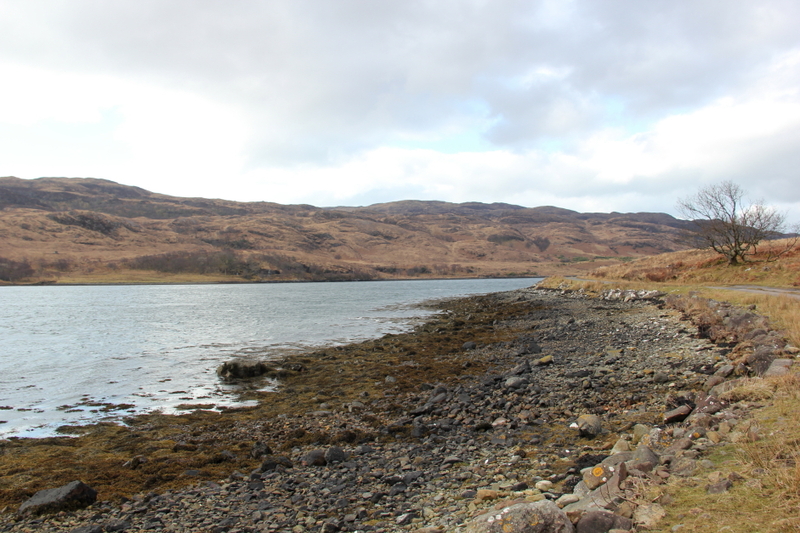 From the van, I walked circa 1.5km along the Lochbuie road before taking the road signposted "Craggan". 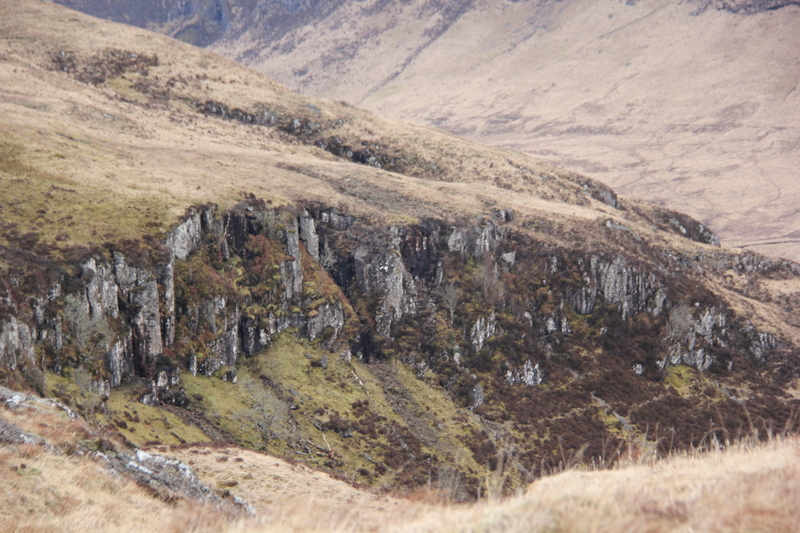 On reaching the Craggan road, I walked along it until reaching a faint ATV track leading up towards a small transmitter. I decided to make use of the ATV track even though it likely would not last long. As suspected the ATV track didn't last long and thereafter I followed various sheep and deer tracks in the general direction of Maol Ban. 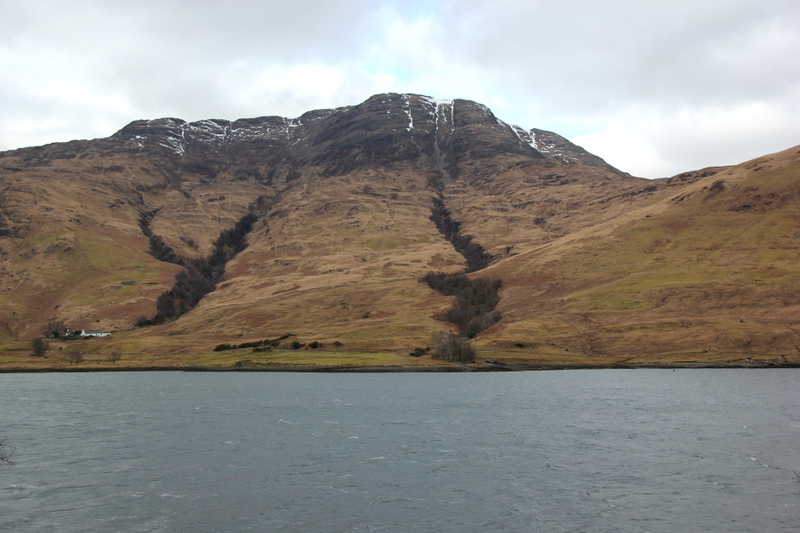 Creach-bheinn looked nice and almost devoid of snow. 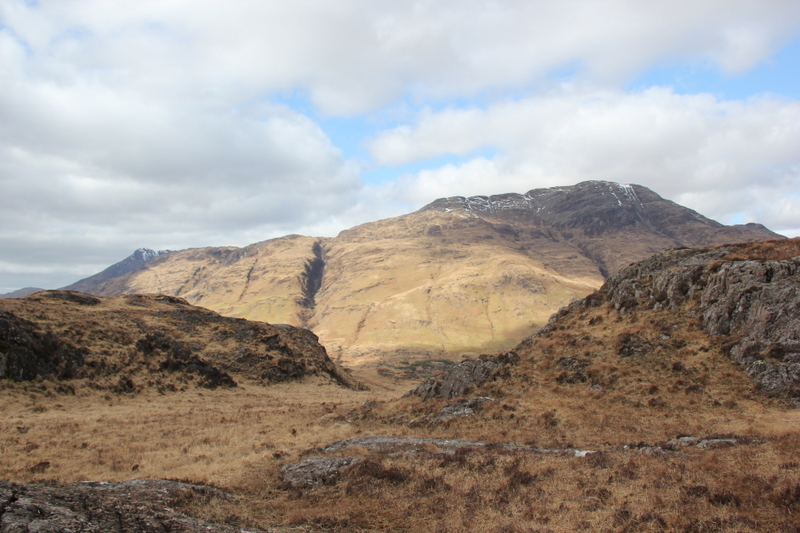 I ascended Creach-bheinn in March 2017 almost exactly a year previous. 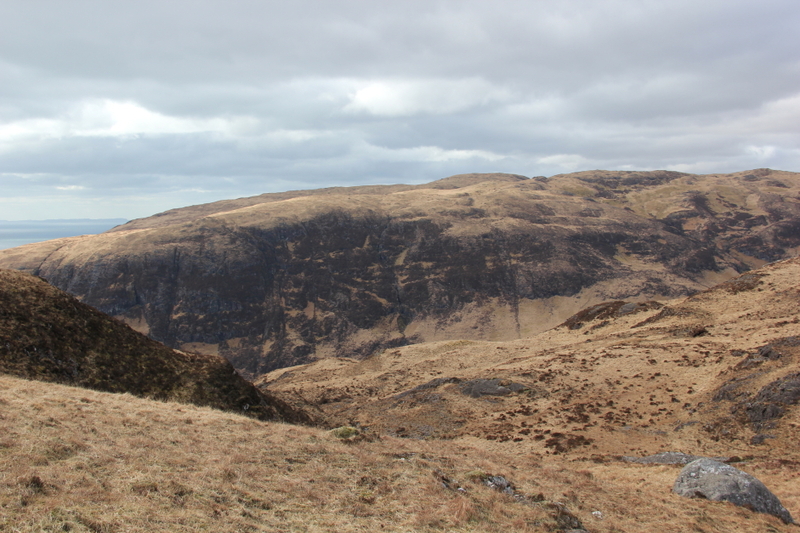 The ascent of Maol Ban was rough-going but not as bad as the descent that was yet to come. 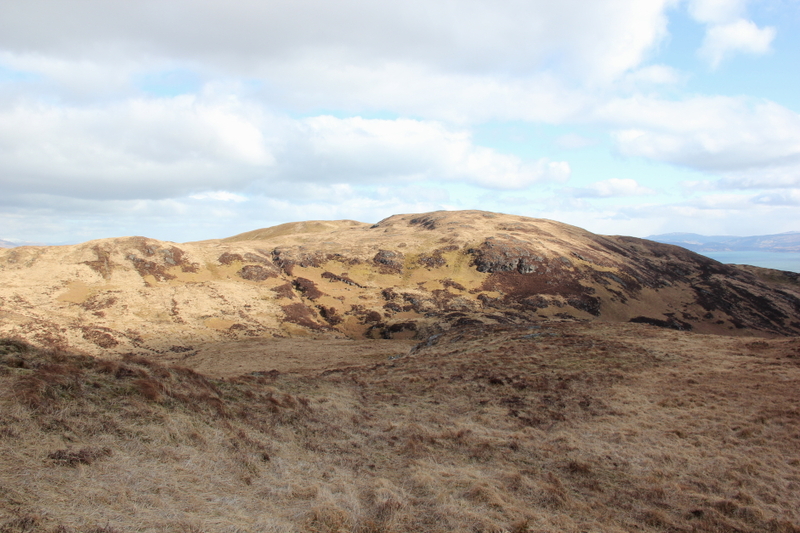 Maol Ban is a hill of many lumps and bumps so I was glad to eventually reach the final bump that is the summit. The summit is a grassy mound a short distance away from the trig point. It was extremely windy and bitterly cold at the summit so I did not hang around. 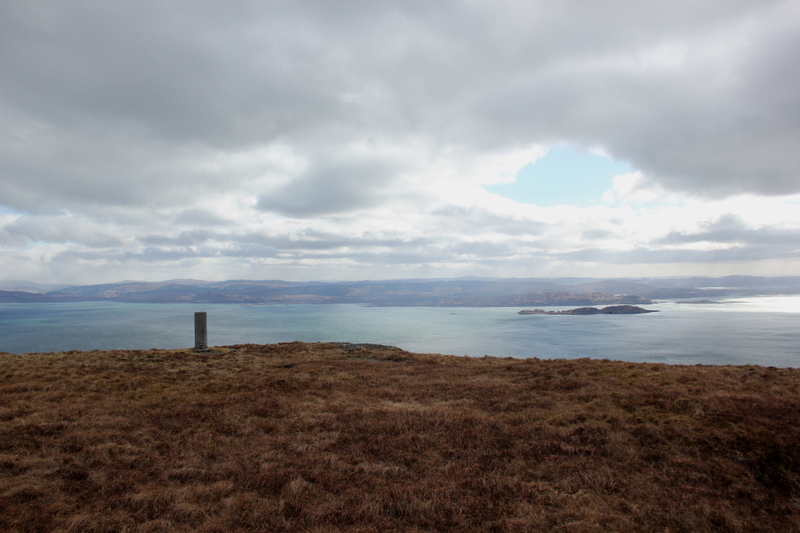 From the summit, I decided to head towards Druim Fada with a view to potentially ascending it. 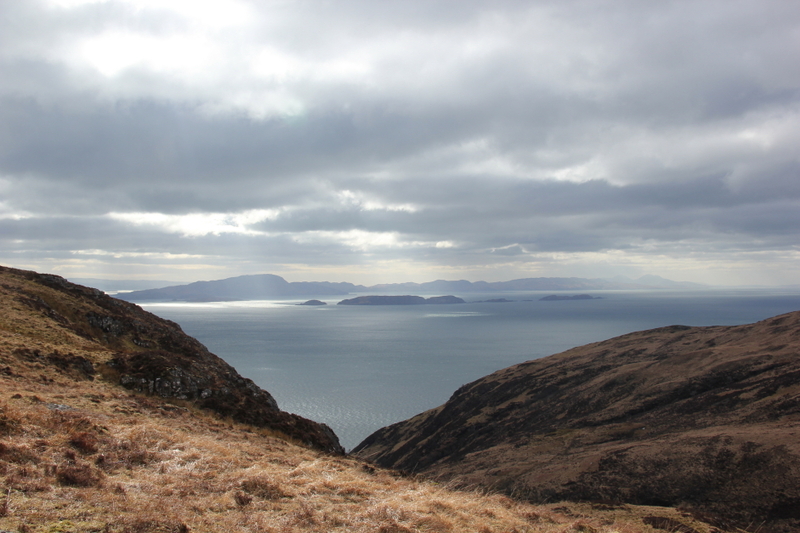 While heading towards Druim Fada, I ascended Beinn na Sroine which provides good views down to Loch an t-sidhein. 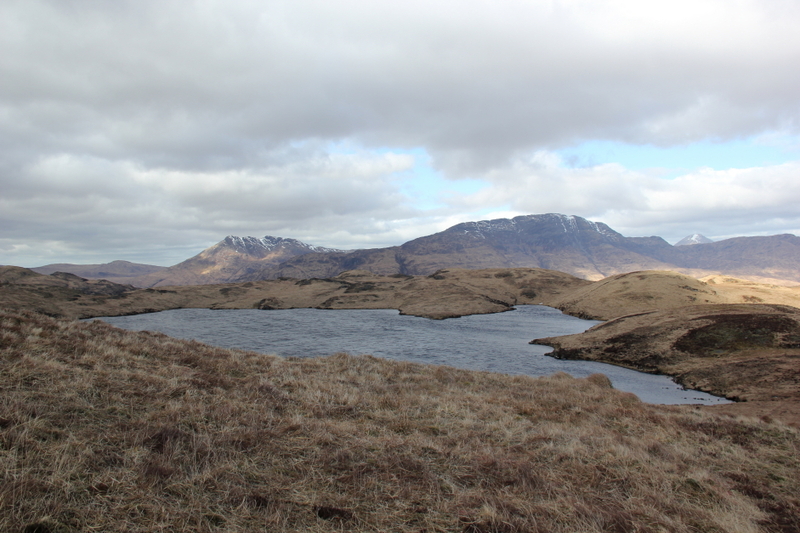 However, on seeing the significant drop between Beinn na Sroine and Druim Fada, I decided to leave it for another, less-windy day. 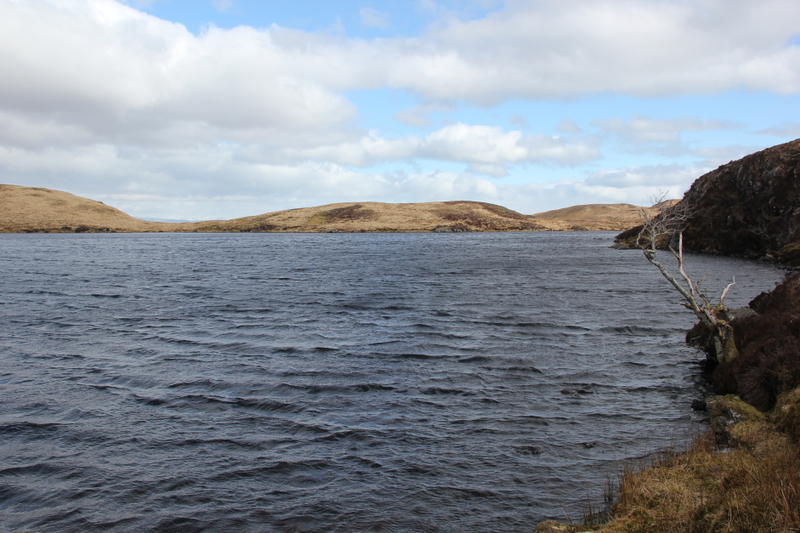 I intially made my way down to Loch an t-sidhein before continuing along the ridge. I had checked the map picking out what I thought was a suitable descent route. I noticed a missing contour on the map but did not suspect that missing contour to actually be a rock outcrop. Glad I did not walk over it in the mist. 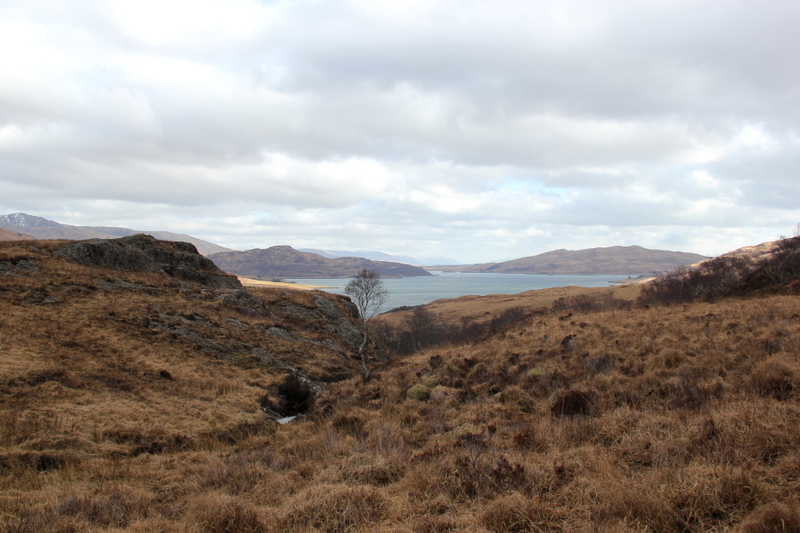 The descent towards Barachandroman was really rough-going via countless tussocks and a tangle of dead bracken. I was glad to reach Barachandroman and then commence the walk back along the road towards my van. Even walking along the road was not easy - I had to walk at an angle forcing my way into the wind. 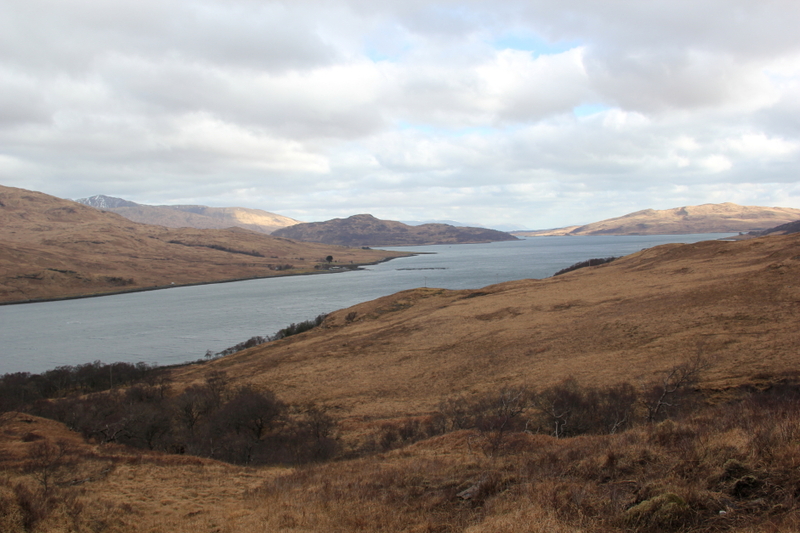 Maol Ban is not a hill I would rush back to do again but Loch Spelve and the Lochbuie road are great for wildlife.